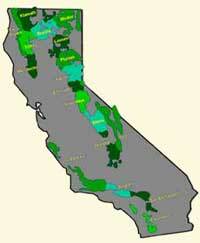 There are 18 National Forests in California. The BLM has three districts and 15 field offices. 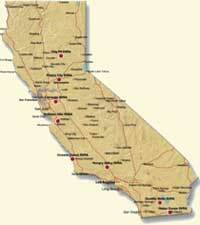 There are 8 State Vehicular Recreation Areas. The most important partners of CASSP are the members of the public who volunteer as site stewards, and the agency archaeologists, rangers, and other personnel who donate weekends and other time to work with the site stewards. Volunteer site stewards help protect archaeogical and historical sites on public lands that are managed by the Bureau of Land Management, US Forest Service, California State Parks, and the National Park Service. The support and guidance that these agencies provide to CASSP is essential. Major funding is provided by grants from the Off-Highway Motor Vehicle Recreation Division of California State Parks through the California State Office of the BLM. Visit their web site at http://ohv.parks.ca.gov/. 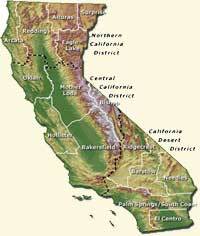 CASSP activities have involved many Native American groups and tribes throughout California. We have shared publications, training materials, and ideas with site stewardship programs in other states, and with the Instituto Nacional de Antropologia e Historia (INAH) of Baja California, which is developing an effective stewardship program in their area. We are pleased and proud to work with these public agencies and groups. Their participation does not imply any endorsement or recommendation of CASSP. We give our thanks to all of you. Your commitment to each other makes this program work.